This is just amazing. The great thing about South Africa – and clearly there are many great things about South Africa so I’ve pretty much saddled myself with a sentence that won’t really stand up to any kind of scrutiny, and it’s the second sentence of the post so it’s not a good start, but I’ll press on – is that many of the wonderful wines that are currently redefining its international standing are made using the fruit of old vines that were being ignored until a couple of years ago. They have, in other words, found that when it comes to wine at least their future and their past are the same, which is pleasing, and that the ugly and unpopular turn out to have the best character, which is too. Mullineux make three levels of wine, a basic range under the Kloof Street label that I haven’t tried but seems universally well received, a Mullineux syrah and a white blend which are both excellent, and available at around £15-£20 a bottle. This year they added a couple of top Syrahs, Schist and Granit, named after the soil from which the grapes grow, and incredibly splendid they were too. Sadly they had a price tag to match, but if I was the kind of guy who spends £60 on a bottle of wine, I’d spend it on this. The only way to get your mitts on this, at least without leaving British shores, is by snaffling a case en primeur from Bibendum, at which point it is both freely available and splendidly affordable, although you do need to buy 12 bottles at once which hurts the wallet a little. Jamet is one of the great names of Côte-Rotie, which itself is one of the great names of the northern Rhone. One of the pleasures of the Rhone, though, is how common it is for top winemakers to produce, in addition to the expensive stuff, something that gives less fat-walleted winelovers a taste of their style. I’ve tried quite a few of these wines now, and enjoyed several, but this is the best of them all, a blast of fresh Syrah fruit without the excessive oak that brings down some of its rivals. The case cost me £110, plus some tax a while later, or in the region of £13 a bottle by the time I got it home. Which, for a wine of quality and individuality and scarcity, with the added bonus of a great name on the label, is a wonderful bargain. His grown-up Cote-Rotie, incidentally, normally costs £60 a bottle or more, but the 2008 is currently available for £25 (use code DRINKS21) at, um, drinks21.com, a discovery which cost me £50. 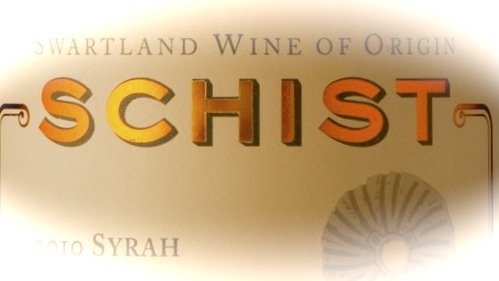 If you’ve not heard of this wine, it’s because you’ve never seen it and never will. It is, I’m told, a legend of French wine, but so little makes it out of the country, and for that matter so little makes it anywhere – they only release wines when they are considered ready, and haven’t released any wine at all for nearly 20 years. In the circumstances it would be a little mean for me to go on too much about how great this is, in a wonderfully distinctive way, but great is what it is. I was told, when I drank it, all sorts of things about the vineyard, but I was too busy having a nice lunch to take notes and Google has let me down in the most disappointing way, but in brief, if you see this, and you can try it without breaking the law to do so, do it. There are some great white wines coming out of South Africa, one of which, Alheit’s Cartology 2011, came within a whisker of being my favourite white of the year, but I must doff my cap to the Liberator, who make one-off parcels of wine in South Africa, stick it in appealing bottles and sell it at decent prices. I’ve tried a few of their wines now, and have wavered between impressed and extremely impressed, and this Swartland white blend was definitely one of the latter, particularly since it comes with an accompanying cartoon on their website. 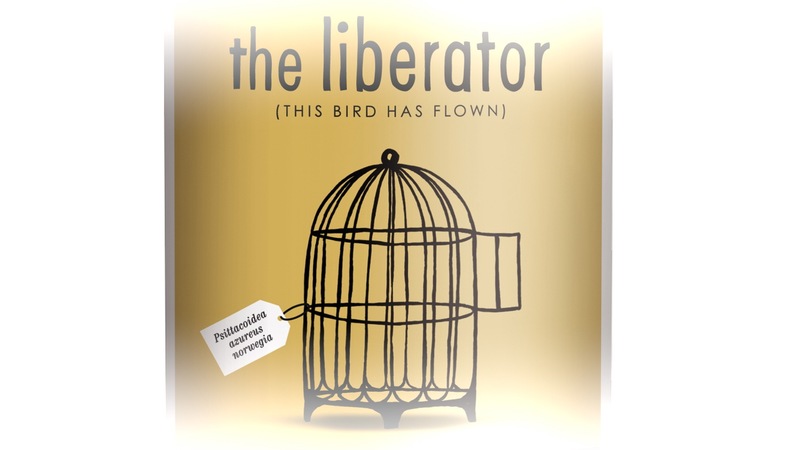 It cost £11.95 from the Wine Society, and while now sold out they do have a couple of other Liberator wines in stock – I’d encourage you to check them out. The Next Picpoul de Pinet award for obscure wine and/or region ready for the big time: Limoux. A great source of bargain fizz and with an apparently rapidly-expanding offering of excellent still whites, based on chardonnay, to boot. Majestic has one currently on “special” at £12.99, if you’re interested, and I’ve heard good things about one that Aldi are selling for £6.99. And it’s just an hour and a half’s drive from Pinet, if winemakers from the two regions should ever want to get together and chat about making the world happy with the gift of good cheap white wine. Not-wine-related thing of the year: London’s libraries. Not only can you get books for free, read them and then take them back again, which while clearly brilliant is the kind of thing libraries have been doing for a while now, they also give you ebooks and audiobooks and free magazine subscriptions and access to newspaper archives. They basically do everything short of coming round to read the books to you personally while they buff your shoes. (Helpful hint: if you live in London, or visit it occasionally, it’s worth getting yourself a Westminster library card as their freebies are the best.) It is, though, still absolutely impossible to get excited about libraries without feeling definitively unhip. Music of the year: A very fine year for music, I think. My favourite album was Matthew E White’s Big Inner, released way back in January, which includes my all-time favourite 10-minute-long song about how great Jesus is, which isn’t a subject I ever thought I’d be keen on. Best concerts included the lovely Laura Mvula playing her first ever headline show at Notting Hill’s Tabernacle, the phenomenally exciting SOHN and Nick Mulvey, who’s so good I saw him twice and am taking Mrs CF on a third outing in the new year, and whose version of Donna Summer’s I Feel Love is an act of virtuoso finger-pickin’ genius.